The UK is facing a road crisis which could cost up to £10.5 billion to put right. 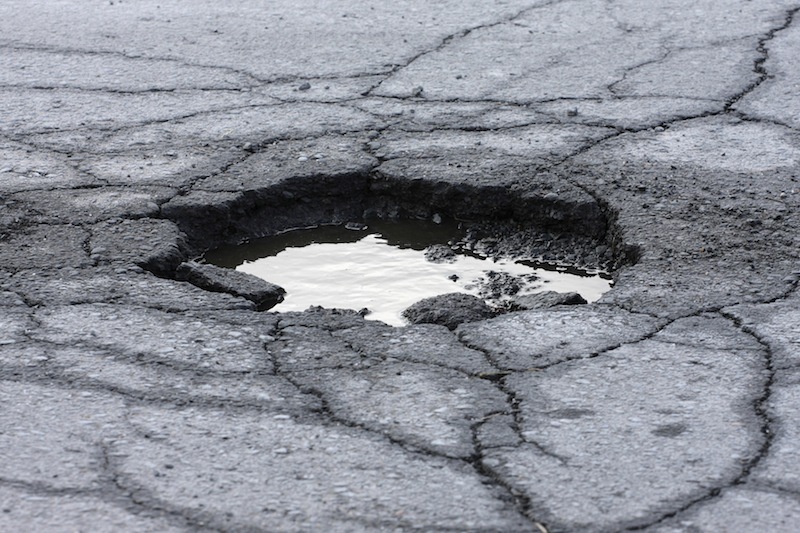 The Annual Local Authority Road Maintenance (ALARM) report highlights that the total number of potholes in this country rose to over two million last year, an increase of 29 percent. Because of the rise councils have had to pay out up to 50 percent more in compensation claims for damage and injury than in the previous year. There is little chance of action being taken to tackle potholes on a country-wide scale, however, as the report also reveals an £829 million shortfall in local authority budgets across England. The total cost of filling in all potholes across England and Wales is estimated to be £113 million, with the cost of putting all roads back into a reasonable condition quickly moves that cost into billions of pounds. Heavy rainfall in 2012 has damages roads in 59 percent of survey respondents’ areas – together they estimate £338 million would be needed to affect repairs. “Constantly having to patch up crumbling roads rather than using highway engineers’ skills properly is nonsensical and costly to the country,” said Asphalt Industry Alliance Chairman Alan Mackenzie. Mackenzie says the £215 million announced last year to help improve local road conditions won’t even begin to cover costs. The continuing decline of UK road quality could mean big bucks for garages and workshops as motorists continue to drive on sub-standard roads. Wheel alignment, steering and suspension are just three areas of extra revenue open to workshops thanks to potholes and poor road conditions. Warranty Direct – which runs the campaign website potholes.co.uk – says the problem will get worse before it will get better. “From the trends we’ve seen at Potholes.co.uk recently, the statistics outlined by the ALARM report are only destined to get worse,” said Warranty Direct Managing Director Duncan McLure Fisher “The number of people visiting our site in the last three months alone almost matches our visitor numbers for the whole of 2012. 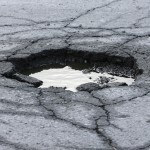 More than ever are coming to find out how to make a claim after hitting a pothole and damaging their car. Warranty Direct says that axle and suspension faults are the most common issues suffered by British motorists. With an average repair cost of £257, they are the reason for one in five workshop visits every year.